Automatically import your Stager events and sell them on your WordPress website. With this extension to the Theater for WordPress plugin your Stager events and their promotional information are directly added to your WordPress website. Ticket sales takes place in the customizable and responsive ticket shop of Stager. Install the Stager for WordPress plugin. Enter your Stager Base URL on the Stager tab in the Theater for WordPress settings and choose an interval for synchronisation (eg. 5 minutes). 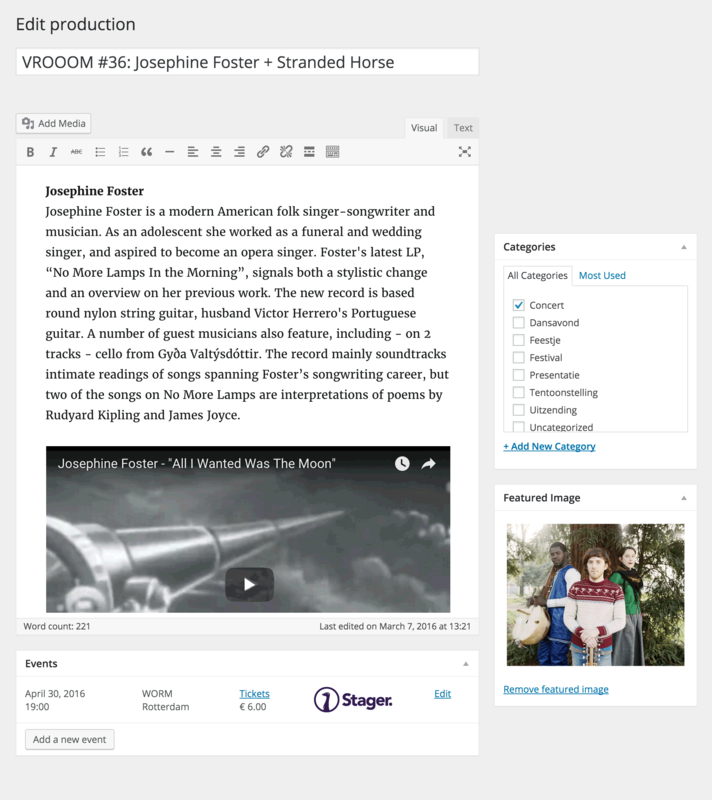 Your events are now available in WordPress! Stager Software offers a full force event management and ticketing solution that helps you with planning your events, finding the right crowd and selling a lot of tickets. Import event information and setup your ticket sales with Stager. It happens automagically!